Home » Book Signing » Entangled Publishing at Book Expo America 2012! 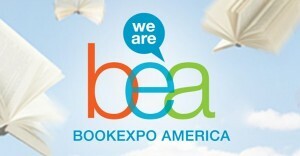 Entangled Publishing is headed to Book Expo America 2012! We are part of the Publisher’s Group West (PGW) booth. Get information on our titles, view books on display, and pick up the Entangled Publishing catalog which features our entire list of titles. We’ll be giving away free books to the first 100 attendees at each signing! Don’t forget to circle back to our booth at the end of the conference, we’ll be offering up display titles! Also, be on the lookout for New York Times and USA Today Bestselling Author Jennifer Probst! She’ll be prowling the halls of the convention, and if you are lucky enough to spot her you can snag an autograph on the fly. This is a great expo and I am sure a lot of people would be interested with this.. Anyway, thank you for the news you have shared for us.. Kick off Christmas with a holiday Flirt and Ever After!